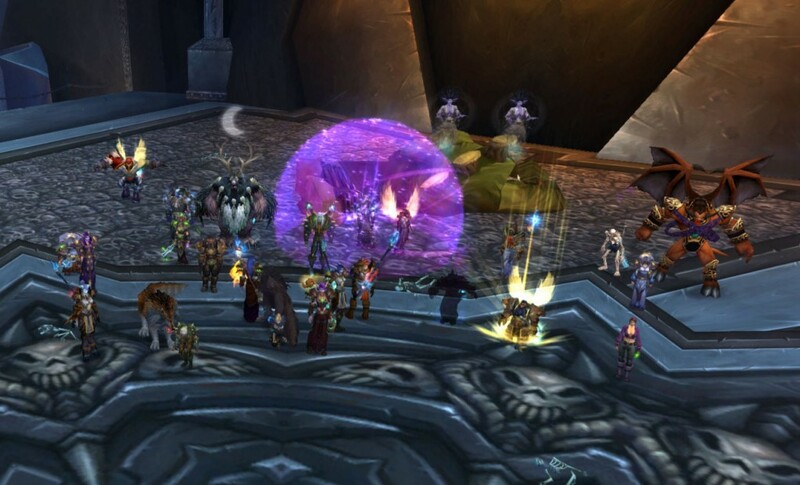 ICECROWN CITADEL (AP) — The guild Vanquish, accused of murdering a popular Icecrown Citadel Professor of Infectious Diseases, Alchemical Horror and Fun, has plead guilty on one count of first degree murder and four counts of armed robbery. Mr. Putricide, who had taught at Icecrown Citadel since December 2009 and whose research efforts had reportedly recently led to a new plague that would wipe out all life on Azeroth, was found dead in his laboratory on May 27th. Autopsy reports indicate that Mr. Putricide was slashed, stabbed, bludgeoned, clawed, diseased, frozen, burnt, poisoned, gnawed, and shot, amidst other, less identifiable injuries. Icecrown Citadel chancellor Arthas Menethil spoke briefly with reporters on Thursday. “He was always coming into my office with good news, and it baffles me to think that anyone could possibly want to harm such a cheerful, sadistic man in the prime of his undeath. We’ll sorely miss him, but I expect to have him raised from the dead again and back in the lab within the week.” The guild Vanquish is expected to be sentenced to fighting the Heroic version of the Lich King. Should You Consider Using The Clash Royale Hack For Free Gems?